What is UEFI? 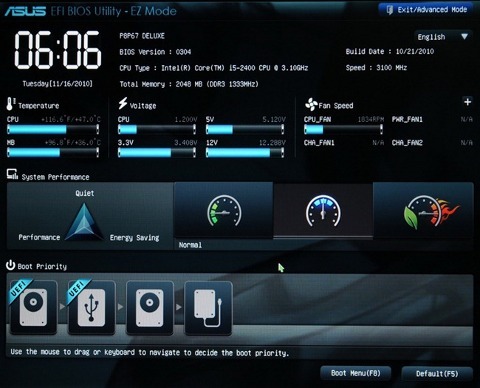 UEFI is Unified Extensible Firmware Interface, which was basically marketed as the most secure interface for the system which will provide additional security and faster processing on the computer. As per my knowledge, it was Microsoft initiative and it came into picture as they promoted it the most. It was buzz then it became reality in the year 2013 but it almost took 5 and half year to make it mandatory. Microsoft had made it mandate on with the Windows 10 1709 version and above. Now if the consumer wants to update the windows to windows 1709 or 1803 they need to change the BIOS Boot sequence to UEFI. Legacy is the traditional and very easy method which had worked absolutely fine so far. UEFI is critical, 1709 was the first perfect OS which worked best with the OS. Legacy has best in performance had minimum boot issues and easiest to install. UEFI is now stable, but yet most of the IT tech do not know how to use this feature and correctly install the OS. Legacy was safe and secure and very user-friendly, it is just that you can select the boot device which you want to boot from and it search for Master Boot Record MBR and used to pick it up. UEFI is market as more secure but there is no more security just that it supports TPM which enables BitLocker and has an extra headache to mention the EFI boot manager, which is not secure if you have access to BIOS and did it a few times earlier just like Legacy. Legacy has maximum partitioning size of 2 Terabyte. UEFI has partitioning size of 9 Zettabyte which is huge. Legacy can have 4 Primary Partition. UEFI can have 128 Primary Partitions. Legacy is good for loading 2 OS on the same system. UEFI is Great for loading more than 2 OS on the single system. There are more differences and UEFI is way beyond the Legacy BIOS technology but it has not yet revealed its true power. Legacy uses Master Boot Record. UEFI uses GUID Partition Table. Legacy is traditional Firmware which interacts with Motherboard and OS. UEFI is also just a Firmware with advanced options. Microsoft New OS will no more support Legacy they have transformed now. Microsoft stop support for Legacy OS after the launch of 1709 WIndows update. The last best Hard Drive supported by Legacy BIOS is SATA SSD. The Last Best Hard Driver supported by UEFI is M.2 PCIe SSD Hard drive which does not work on Legacy BIOS. Legacy Supports the SSCM in the traditional way like you can enable PXE boot and select option to Boot From Network through LAN. UEFI also supports and enable options to boot from the traditional network which is IPV4 as well as IPV6. UEFI firmware is keeping all possibility of future options. To enable it you need to enable UEFI Network Stack which will give the option for IPV4 and IPV6. I found most of the users were not able to update to 1709 or if they tried there system went to no boot and we helped them fix it back to UEFI. UEFI is the future of BIOS firmware. Faster you will adopt it better for you. But the bottom line is the Motherboard is same and Legacy or UEFI they are just Firmware. Firmware is just the piece of software which can be restructured or replaced any time with something better. The way I see UEFI is just the successor of Legacy BIOS or we can say upgraded Legacy BIOS firmware adopted with user requirements and advance technology.